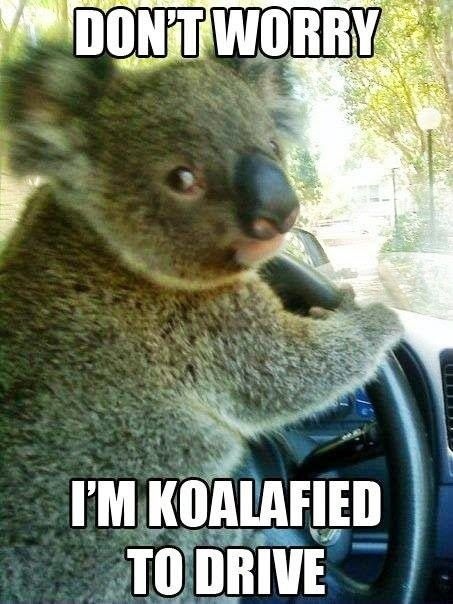 Welcome to Koalafied Wife! My blog about my adventures as a semi-newlywed, I hope to document my trials learning how to cook, clean, fix things I didn’t even know I could and learning all kinds of life lessons along the way. You can learn all about my koala obsession that inspired the name of the blog on my about page, I am sure you will hear about it more in future posts. The idea for this blog hit me when we were having a rough week with our house, we had a mommy raccoon and her babies living in our attic, and every time we showered we ended up standing in a few inches of water because the drain was clogged. After a week of not sleeping because those furry creatures had set up camp directly above our bed I needed to be able to fix SOMETHING. Clearly the unwanted houseguest would require professional help so I combed Pinterest (only my favorite website) looking for a solution to the problem I could solve. I found a few suggestions that looked easy enough and I went to raid our kitchen to try using baking soda, vinegar and boiling water. Yeah that didn’t help…our clog was determined to stay. I wish I had pictures to show you of what came next…I was done with this clog, I was going to win. I took our plunger to the bathtub drain and let me tell you what came out of the drain was disgusting, but we took it as a good sign. After plunging the drain several times we finally un clogged that drain! I have never been more proud of us in our entire lives! After we finished cleaning out the tub I had to give my hubby a big kiss and to celebrate our milestone he took us out to dinner! Since our accomplishment I have shared that story with most of our family and friends, it seemed most people understood how proud we were that we fixed it ourselves and I realized most people have been in our shoes and I loved hearing other stories like ours. What was your first accomplishment like ours? Share in the comments below!